Rates Include accommodations, taxes, fees, and events. Maria’s By The Sea Hotel is centrally located in Road Town, the capital of the British Virgin Islands along the shore of Road Harbour. The hotel has sweeping views of the harbour and the lush green backdrop of the surrounding hills and has a swimming pool. The hotel is a premier location for leisure or business and provide modern meeting and business facilities and professional courteous services. Beaches are a few minutes drive and nearby access to ferry terminals. The hotel is also just steps away from Tortola Pier Park for shopping, dining and nightlife. The Mariner Inn Hotel features beautiful sea and garden-view rooms and suites. For those of you who prefer the outdoors we invite you to enjoy our relaxing pool area with a fully stocked bar/dining area or enjoy the ambience of our adjoining open-air restaurant. To the romantics or the beautiful bride-to-be we have just what you are looking for-Nature’s Little Secret , with a sprinkling of paradise and splendor. Nanny Cay has a charming hotel nestled in a tropical oasis garden setting in the heart of Tortola’s favorite marina. The hotel features a fresh water pool which overlooks the beautiful Sir Francis Drake Channel, lounge on the beach where you can catch a breeze and watch the yachts sail by. Complimentary high speed wifi available. Set oceanfront in picturesque Carrot Bay, Ke (pronounced 'Key') Villas is perfect for couples looking to unwind. 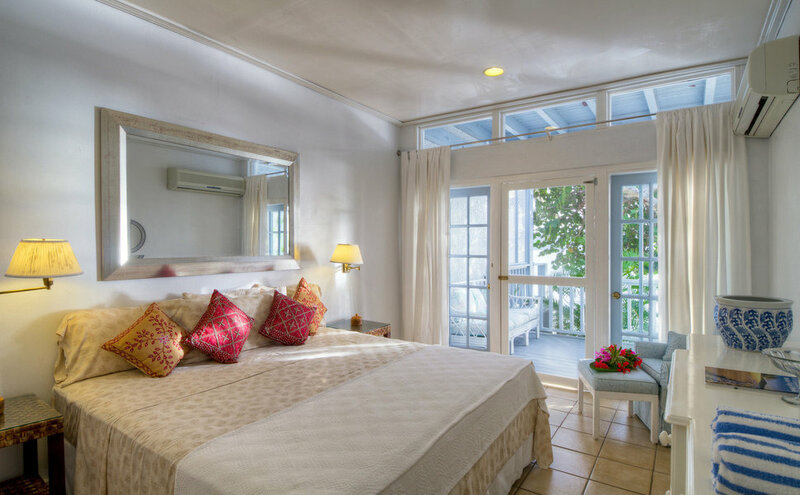 Each room features a balcony that boasts spectacular views of the ocean and nearby Jost Van Dyke. Our modern amenities include: WIFI, air conditioning, hair dryer, cable TV, ceiling fan, coffee maker, microwave, small fridge, alarm clock, bath towels, and lots of extras (bath soap, shampoo, hangers, cups, plates, and cutlery). Select rooms are equipped with pots, pans, and a stovetop. Carrot Bay is a coastal village nestled between Apple Bay and Cane Garden Bay. From Ke Villas, you can get to the best beaches and restaurants on the island within 15 minutes (by car). Sebastian’s on the beach is located on a luxurious, white sand beach in Little Apple Bay on Tortola's North Shore. The charming 26 room hotel offers the ultimate in breathtaking scenery and total relaxation. At the casual, intimate hideaway, you will wake up to the sound of gently lapping waves and cool sea breezes. From the private balconies or terraces of our deluxe beachfront accommodations, enjoy spectacular views and colorful sunsets, or choose from one of our cheerfully appointed tropical garden rooms. All rooms are air-conditioned. Whatever your choice, our warm and friendly staff will make you feel at home.